Though we haven’t shared too much on the blog, Alyssa and I have been busy planning our wedding for the past 15 months ever since our engagement at the former Elwha Dam site in Washington. We picked a date, found our perfect wedding venue (just the right blend of mountains, proximity to our friends and family back home in California–sorry for those of you that had to travel from the Rockies and beyond, and overall affordability) and set to work planning an epic honeymoon. We don’t have our photos back yet, but here’s a preview from our amazing photographer Bobbi! We chose the Double Eagle Resort & Spa in June Lake, California as our wedding venue. This is the closest thing we could find to the Rocky Mountains in California! Alyssa and I went back and forth for months trying to pinpoint the perfect honeymoon for us. First we set our sights on Napa Valley where we could spend a week eating, drinking, and relaxing… a traditional honeymoon. 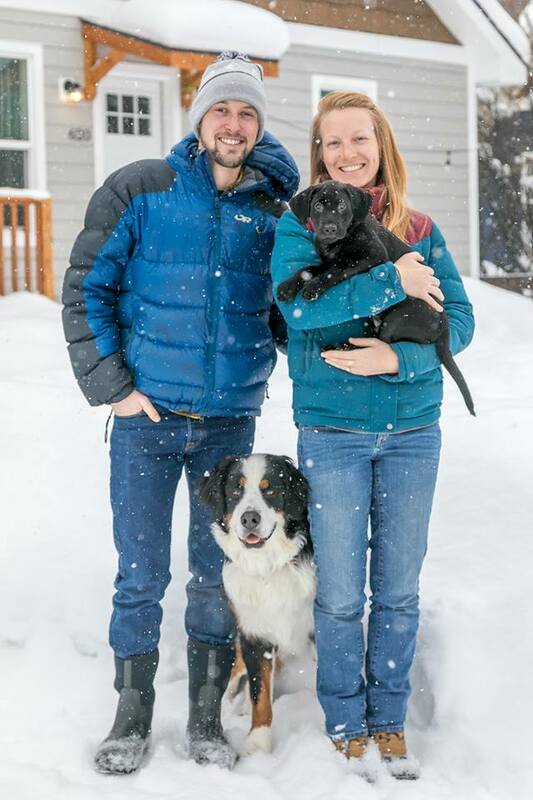 After a weekend in Seattle doing just that, we released that 48 hours is about the max amount of exorbitant R&R that we can handle before we started to feel cagy and sick. Our next idea was to take a trip to the Swiss Alps, where we could run and hike in the mountains while also experiencing a little different culture. Honestly, this would have been lovely but the idea of planning (and paying for) an international vacation on top of the already time-and-budget consuming wedding was just too daunting. In 2013, Alyssa hiked the entire length of the John Muir Trail from Yosemite to Mt. Whitney in 23 days. I hiked the last 5 days with her at the end! 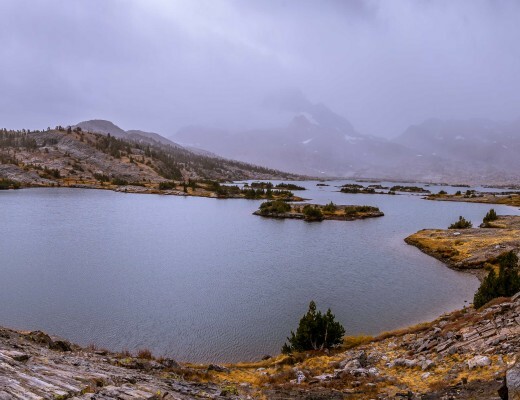 Finally, after a few months of bouncing ideas off of one another, the perfect honeymoon idea came to us: after the wedding we’d drive down to Whitney Portal (just a few hours south of June Lake) and hike the John Muir Trail from Mt. Whitney to Yosemite Valley. 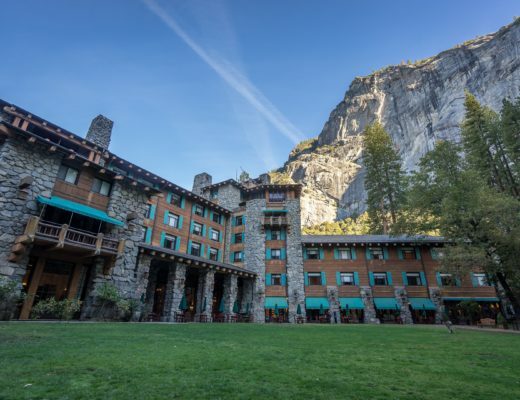 To make sure we got that little bit of honeymoon luxury, we’d end our hike with a couple nights in the historic Ahwahnee Hotel (now officially re-named the Majestic Yosemite Lodge… we prefer Ahwahnee.) The icing on the cake? Learning that my grandparents had enjoyed their honeymoon at the Ahwahnee 63 years ago. It was meant to be! 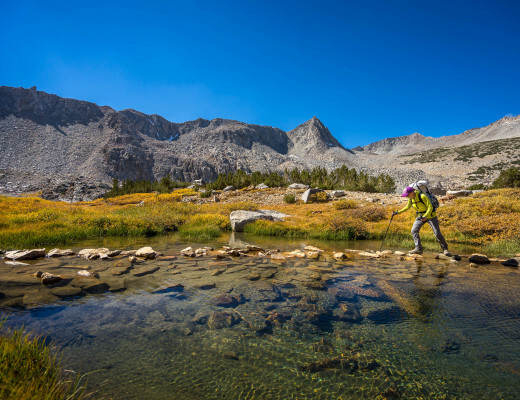 The first step of planning any trip on the John Muir Trail is to attempt to secure a permit. The trail has become so popular in the last few years that, even in the late season, it’s very difficult to get permits that start in Yosemite or Mt. Whitney. The best strategy is to try to grab it the moment it becomes available (168 days before your desired date) but even then they can be tough to nail down. In typical #buslife fashion, we were well within the 168 day window when we decided on our hiking honeymoon, so getting a Whitney permit was out of the question. After a few days of hopefully watching recreation.gov for a cancellation, we settled for the next best thing and decided to hike in over Shepherd Pass, the first trail access to the north of Mt. Whitney. This would cut off about 14 JMT miles, but we weren’t too disappointed because we have both summited Whitney in the past. With permit reserved, we confirmed our reservation at the Ahwahnee for 10 days later and paid our deposit. That was it, the trip was going to happen! We knew from the beginning that attempting to hike the John Muir Trail from Shepherd Pass to Yosemite Valley in just 10 days would be no easy feat: 220+ miles with more than 25,000 feet of elevation gain is a big objective in any season, and an especially large one in October, when the winter storms start rolling in. Knowing that we’d be pushing ourselves to the limit, we wanted to make sure we had every possible advantage while we were out there. You know what that means… new gear! We’ve worked on slowly upgrading a lot of our gear over the last few years, but our backpacking equipment hasn’t changed much. To be totally honest, with the bus as our home we haven’t had much desire to backpack at all! Alas, the bus can’t travel over 13,000ft mountain passes. When we dragged out our old backpacking stuff, we quickly saw that we could easily cut out a lot of weight and volume by upgrading our backpacks and tent. Time to start doing some research! After looking at a lot of the ultralight options on the market, we eventually settled on Hyperlite Mountain Gear’s 3400 Windrider pack and UltaMid tent. We purchased the packs directly from Hyperlite and were able to borrow an UltaMid 4 tent from a friend. Score! After a few more small gear upgrades like some Crocs (best camp shoes ever) and SmartTube hydration hoses for our water bottles, we had our gear pretty dialed. A more comprehensive gear rundown can be found on our Backpacking Gear Roundup here. Figuring out the menu is always one of the most fun parts of planning a backpacking trip. On past trips, including Alyssa’s 2013 JMT hike, we have gone with the most basic Mountain House meals. Since then, we’ve decided to hop on the vegetarian train and needed to find a meat-free alternative that still packs a punch in the calorie department, is nutritionally complete, and weighs little. Our search led us to an awesome company called Outdoor Herbivore that makes vegetarian dehydrated meals. We ordered a few to try before we went and were instantly hooked. But wait: what about the protein? Believe it or not, these meals have just as much and sometimes more protein than comparable Mountain House or Backpacker’s Pantry meals. The chefs at Outdoor Herbivore have stuffed their products full of all kinds of ground seeds, nuts, and other veggie protein to meet calorie and nutritional goals without meat, added chemicals, or other preservatives. You can actually see the dried herbs in the package! Alyssa preparing another (mostly) vegetarian favorite, Good to Go meals on a recent backpacking trip in the Wind River Range. Good to Go was a strong contender but Outdoor Herbivore packed more calories into smaller sizes. One difference between this trip and past trips was that we planned on only heating water for dinner (apart from the occasional coffee break). The idea is that we could save time in the morning by getting on the trail early, warming up quickly, and eating a cold meal on the move. An added bonus is that we could carry less fuel for the stove and save some weight. Cold breakfasts usually consisted of some sort of energy bar (Pro Bars have been my favorite for a while) and maybe a bagel or tortilla with some Justin’s. We saved the coffee for a little later in the day when we needed a break or pick-me-up. There’s nothing quite like enjoying a hot cup of coffee after a big effort like getting to the top of a pass. By the time the wedding came and went, the only thing left for us to do was make one final trip to the grocery store, double check our packing lists, and hit the trail! We took a ton of photos and are excited to share them on the blog. Come back soon to read our day-by-day account of the trip!